Shimmering in the sunlight and reflecting the magnificent waves along the coast of Lake Michigan, the Spa Blu Tower is the ultimate destination for a luxurious escape. 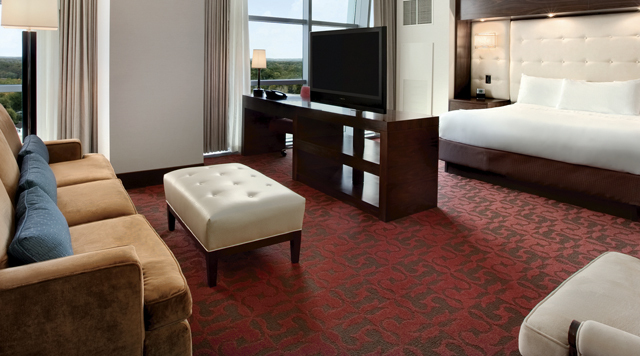 With over 300 rooms, including 60 suites, and the existing rooms in the original tower, Blue Chip Casino offers more lodging accommodations than any other casino in the area. Spa Blu Tower rooms are situated throughout the elegant 22-floor tower with many rooms providing breathtaking views of Lake Michigan. The tower features a nautically-inspired design with colors linked to its waterfront location and LED banding on every other floor enhances this beautiful theme. The tower is one of the largest buildings in La Porte County and is the dazzling centerpiece of Blue Chip's exciting expansion. Handicapped accessible rooms are also available, featuring wider doorway access, assistance bars in bathroom, and a roll-in shower. 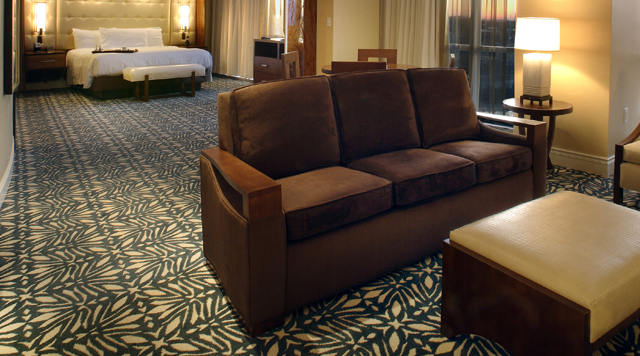 Accessible rooms are located near the guest elevators for your convenience. 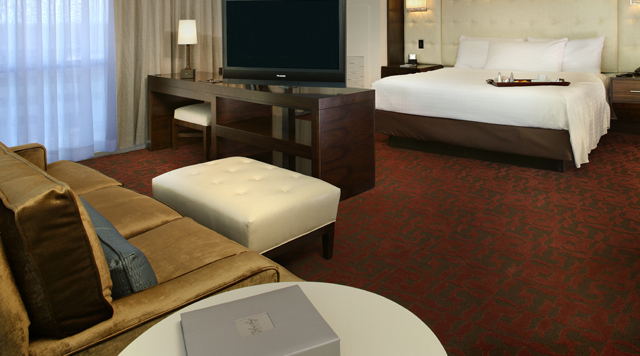 Our amenities make guests feel as though our Premium Room is anything but standard. A picturesque portrait of the surrounding La Porte County landscape awaits. Spa Blu Tower: Solara Suite. Enjoy beautiful views of Lake Michigan right from your guest room window. 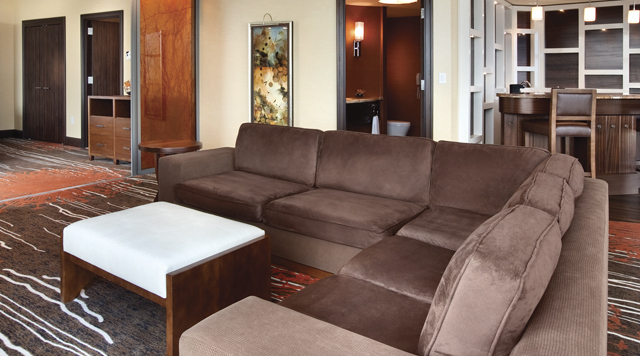 Our wonderfully expansive Lake View Suite is always prepared for your arrival. 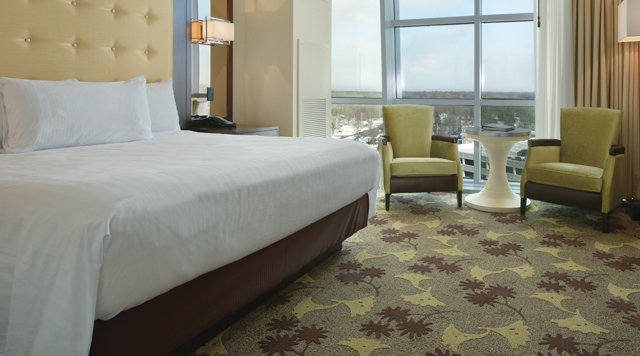 Look down on impressive views from our Sky View Suite.